'Great Picture Book on Africa'! for any age (20 pages). See Dr. Ogundiran's detailed review for Africa Access. Obatala's Daughter Discovers True Friends (September 2015) is a colorful children’s picture book based on the ancient stories of the West African Yoruba people. Obatala encourages his daughter Kemi to look for friends with good character. She has an exciting journey in which she learns that being superficial can bring trouble. However, with clarity and courage Kemi finds joy at last. 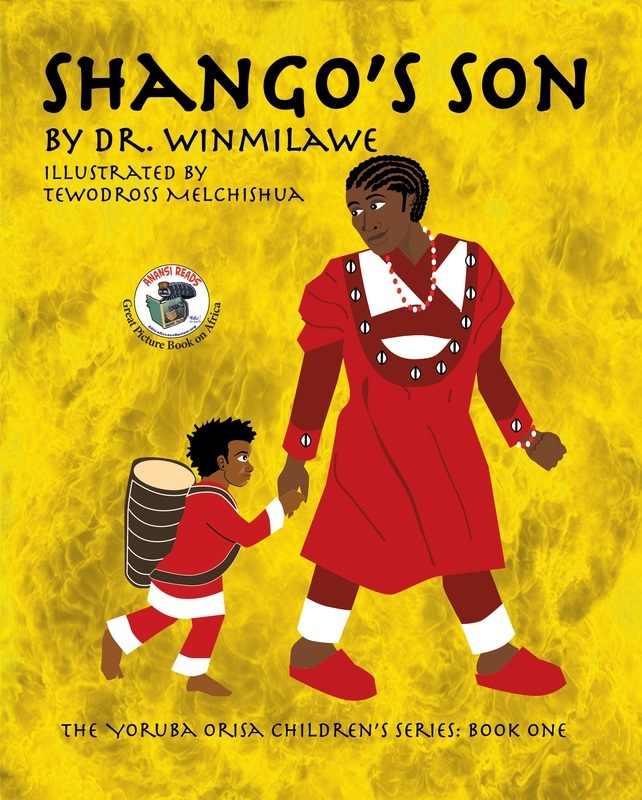 This second book in the “Yoruba Orisa Children’s Series” quickly became the categorical "#1 New Release" on Amazon.com! ​for any age (28 pages). See Dr. Omolola's detailed review for Africa Access. You can special order at their physical stores. FOR TEACHERS! CLICK HERE FOR RESOURCES. Signed copies only available in person. ​For special occasion direct copies click here. Copyright © 2011-2019 Dr. Winmilawe.